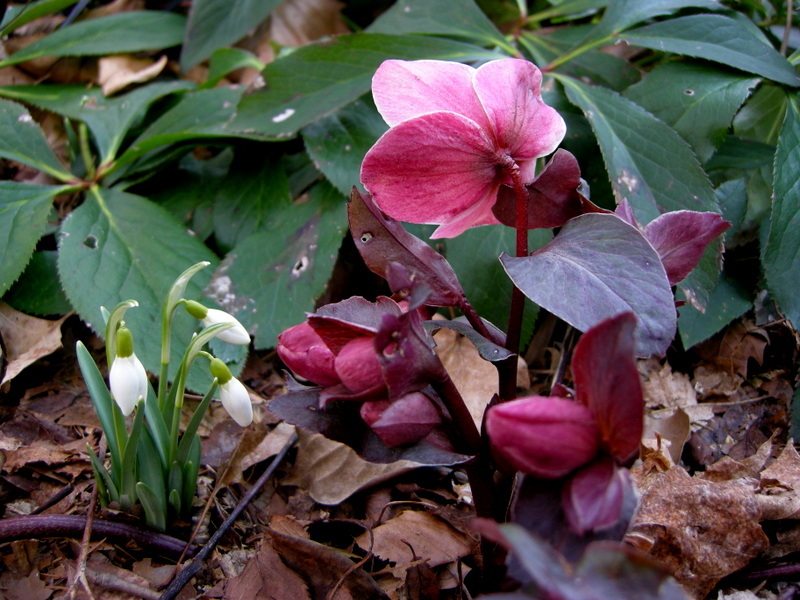 This entry was posted on February 13, 2013 at 6:52 pm and is filed under Garden Blogger's Bloom Day, hellebores, Shade Perennials, snowdrops, winter, winter interest with tags Carolyn's Shade Gardens, Christmas rose, Crocus tommasinianus, Cyclamen coum, Cyclamen hederifolium, Galanthus 'Blewbury Tart', Galanthus 'Kite', Galanthus 'Lady Beatrix Stanley', Galanthus 'Wendy's Gold', Galanthus Godfrey Owen, Galanthus Ophelia, Galanthus S. Arnott, hardy cyclamen, hellebores, Helleborus First Cuckoo, Helleborus niger, Helleborus Painted Bunting, Helleborus Snow White, Helleborus Warbler, Helleborus x ballardiae 'Cinnamon Snow', Helleborus x ballardiae 'Pink Frost'. You can follow any responses to this entry through the RSS 2.0 feed. You can leave a response, or trackback from your own site. 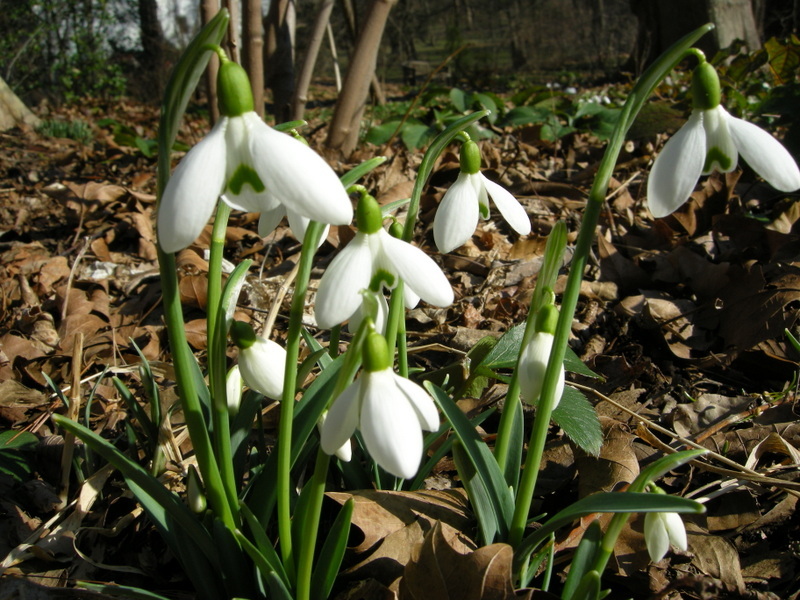 I so envy your zone – in Ct mine are all under about 2 1/2 feet of snow but the nigers and Pint Frost were in flower before it snowed. 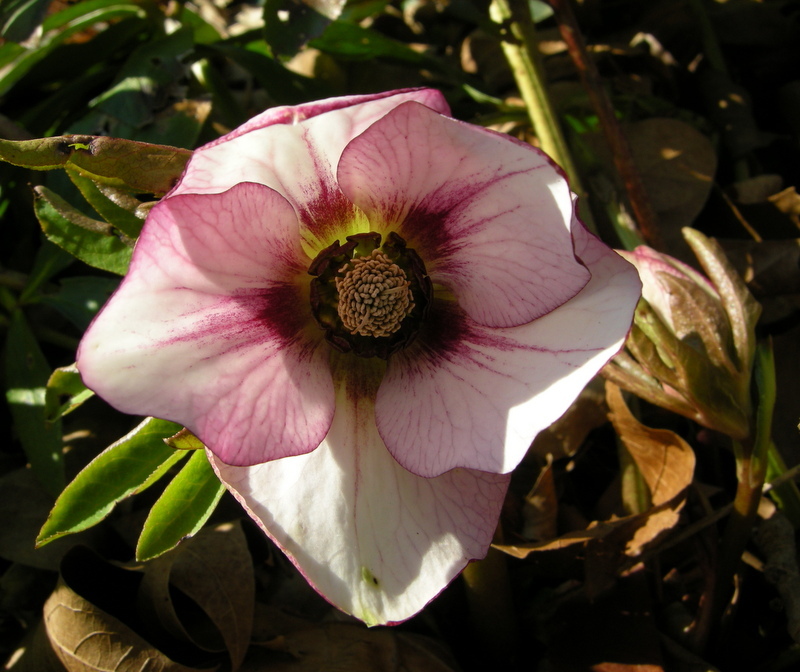 In fact a couple started in early December just like a Christmas rose should……..
You really have a plethora or blooming beauties so early in the year! 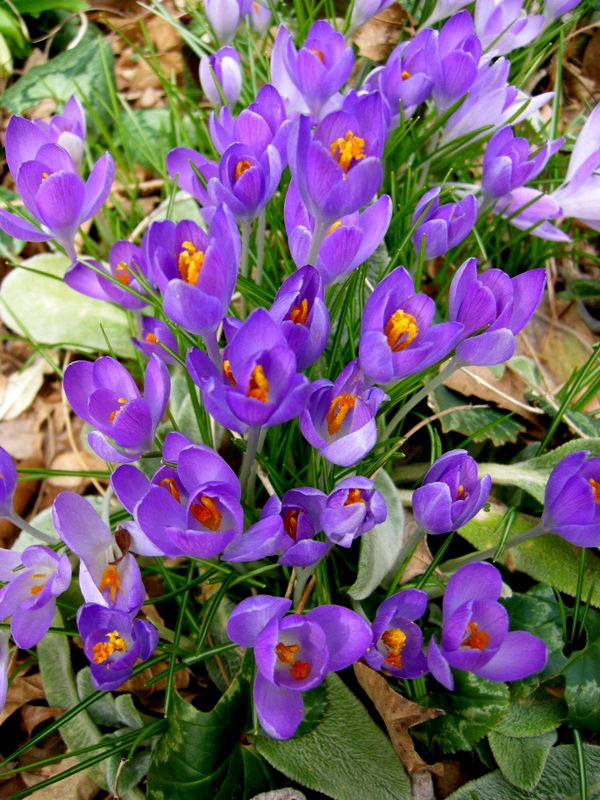 We are still under snow cover and it will be another month and a half before I see anything, including crocus. 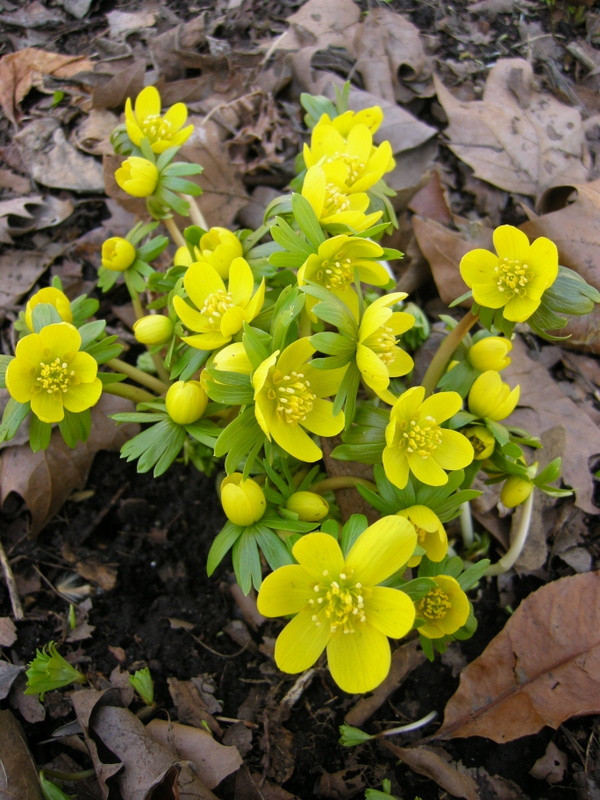 I do like the aconites. They are a little beacon of light on dreary gray days. I’m amazed that you have so many plants blooming! You give me hope. The Old Early Purple and Painted Bunting Hellebores are lovely! Hi Carolyn… I’ve spent quite a bit of time perusing and enjoying what you offered here today as well as in your links, particularly with regard to the hellebores… I have to say that while you have so many beautiful cultiivars, Pheobe is absolutely amazing! 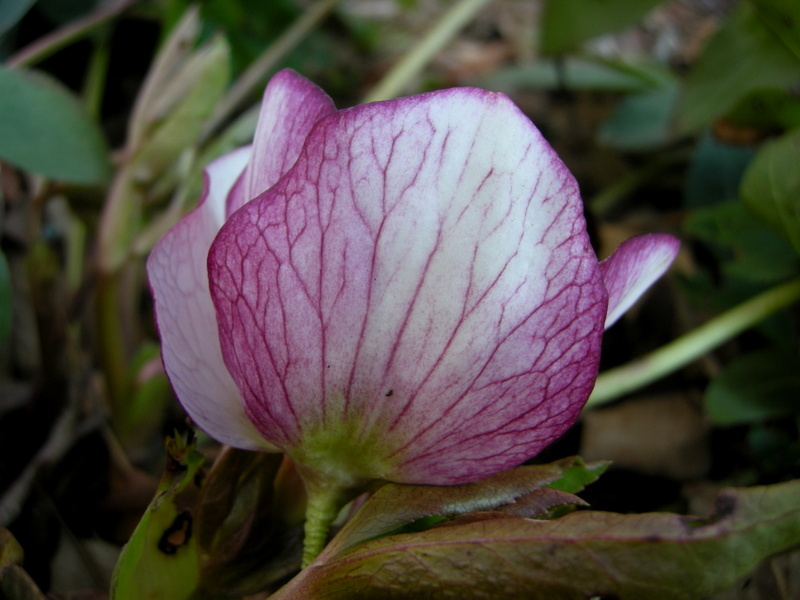 I’ve been thinking about your advice regarding maintaining hellebores and have decided that in certain areas I will let them seed about some… these are areas where I’ve purchased a number of unnamed cultivars from a series… since I’m not terribly attached to them, I’m curious to see what new crosses mother nature provides down the road. On the other hand, where there are plants that I consider special such as my good sized group of Elegance Whites, I will deadhead as you suggested. What beauties you have featured in this post, if only I lived closer, I’d be right over to snap up a few plants for myself. 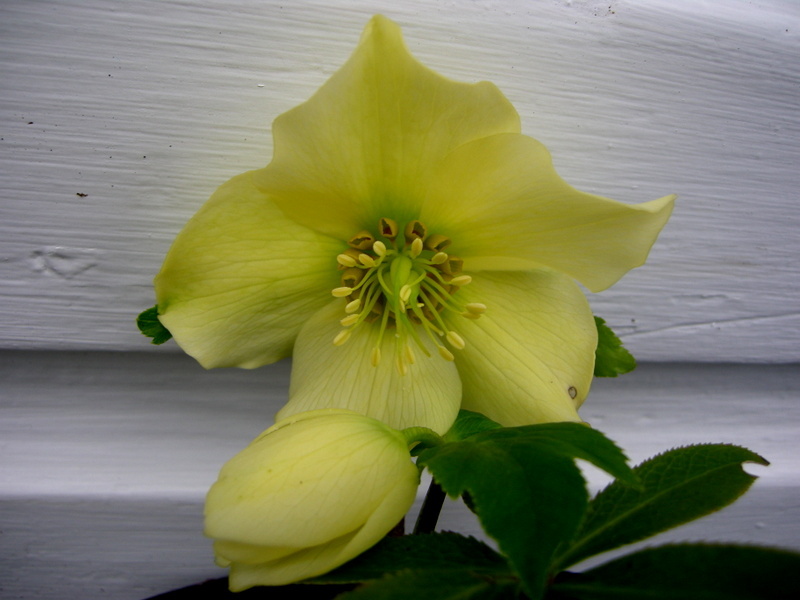 I especially love the yellow hellebore. 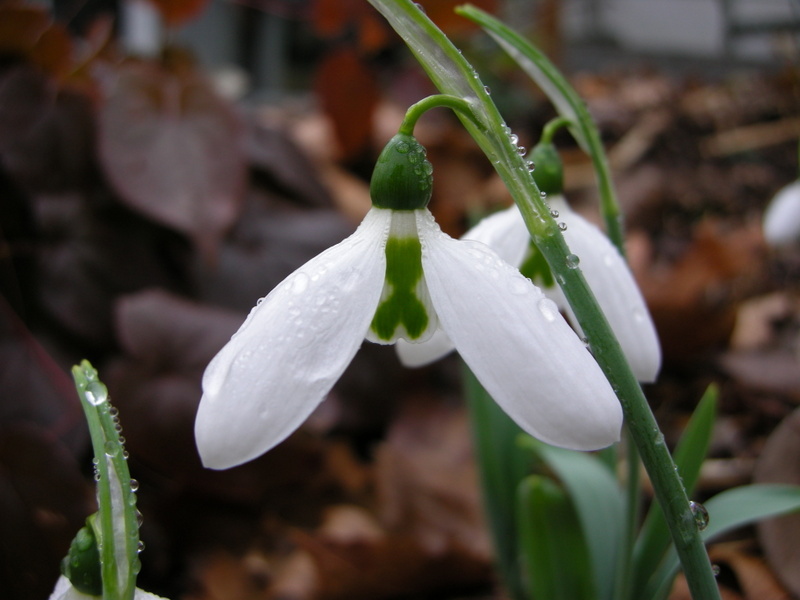 All the snowdrops are simply gorgeous! Such a lot of beautiful flowers, love Painted Bunting, but then, as you know I love all Hellebores! This really is a lovely time of year in a woodland garden, so pretty with all the tiny flowers keeping company with the hellebores. 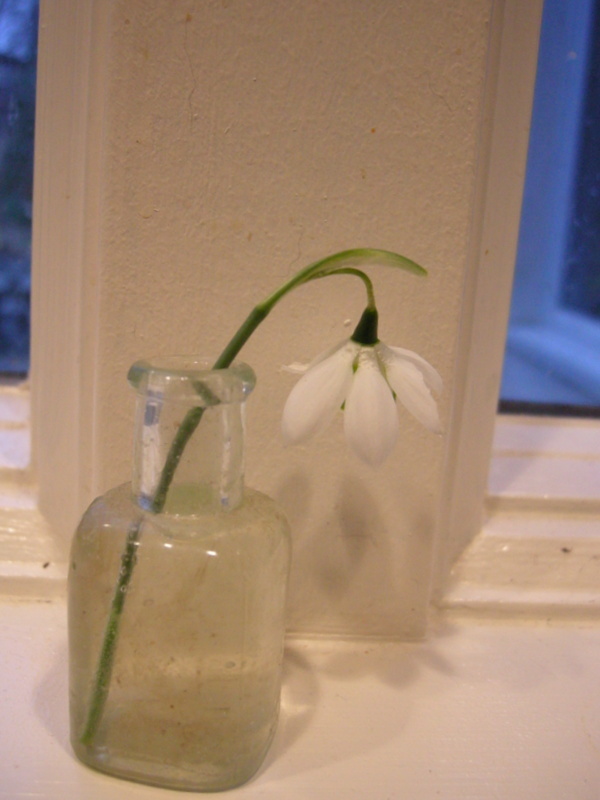 My snowdrop Wendy’s Gold is increasing nicely,we must be lucky, it’s quite easy to get hold of over here. 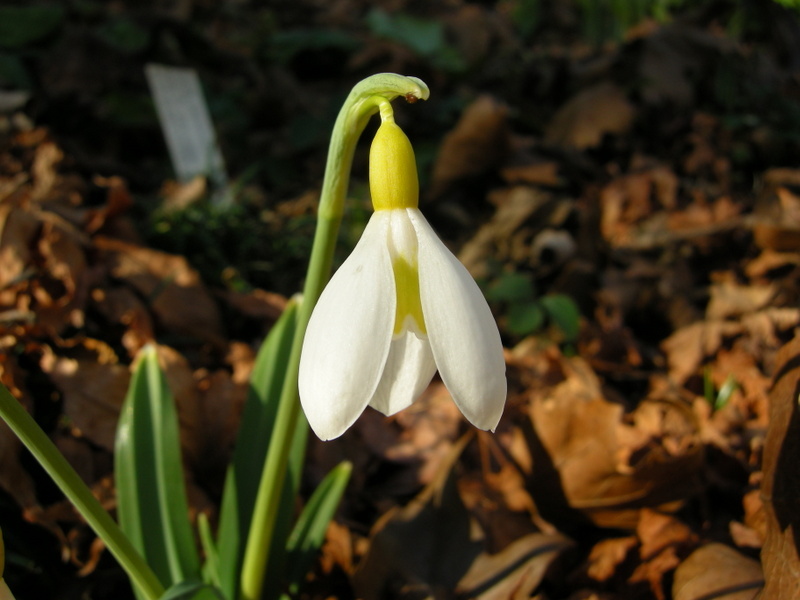 Your Godfrey Owen is a super snowdrop, why do nasty things always happen to special ones! Pink Frost is an eye-catcher for sure. The yellow Warber is also lovely and reminds me of a friend who is greatly missed. Always lovely to see your garden. 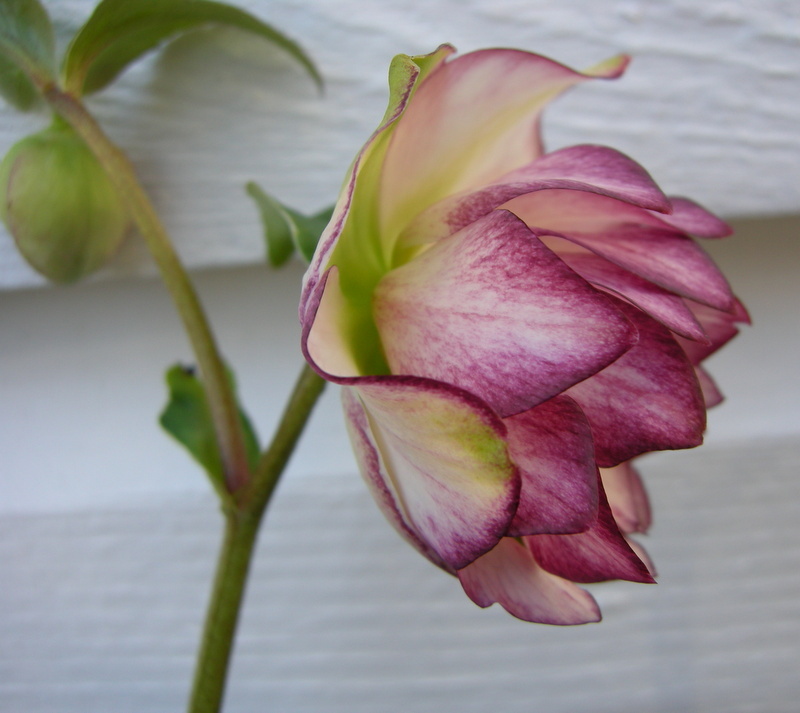 My hellebores are mostly still dormant, but one has a bud. 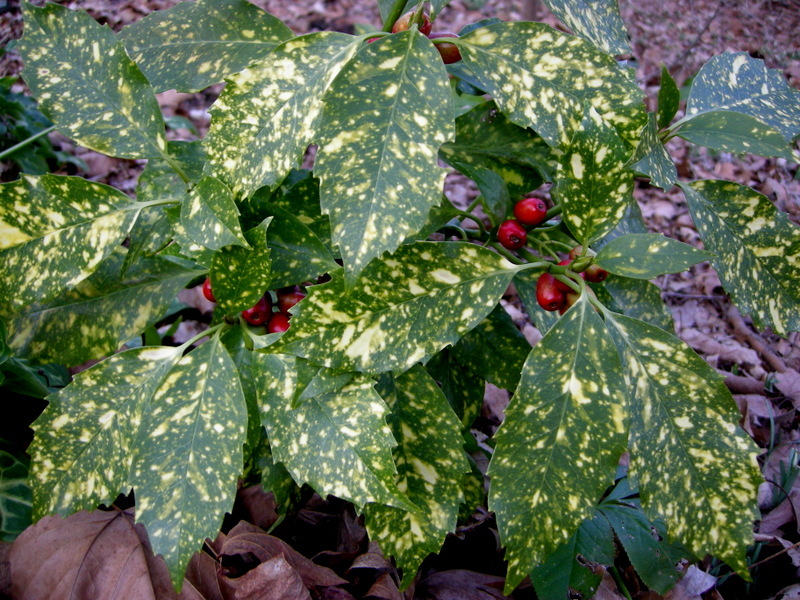 they have been great plants, and I love to see the early blooms too. 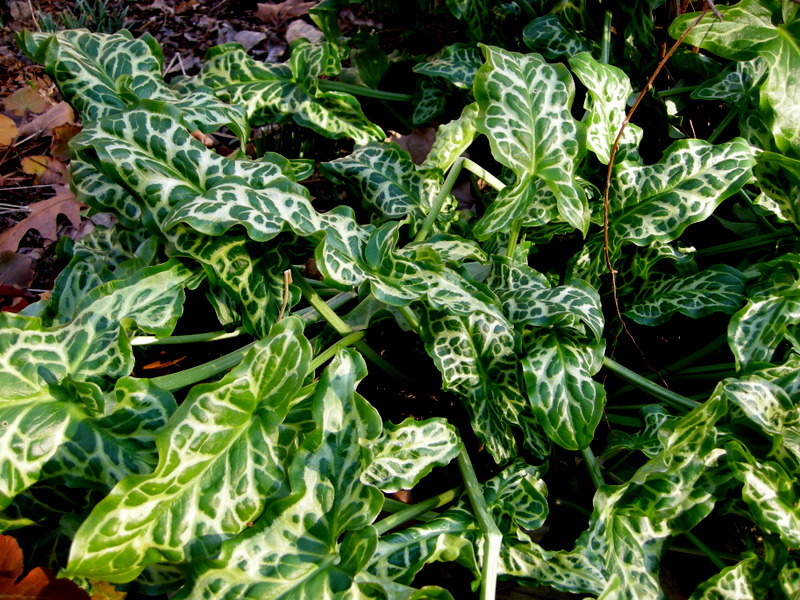 Good suggestions here for companion plants -thanks! Carolyn, this post gave me such pleasure, especially as I’m still some weeks from any outdoor blooms and am housebound recuperating from a knee replacement. Having moved from my former home last autumn, I only had time nd energy to dig a few of my hellebores, and they are currently buried under 2 feet of snow. 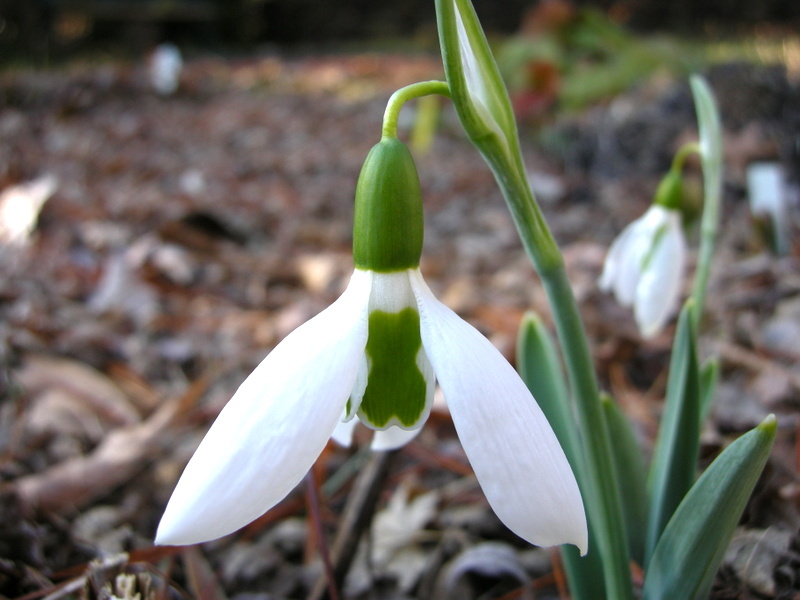 I never get tired o seeing your snowdrop Carolyn. I like “Wendy’s Gold” and the one with the x is neat. I have never seen a yellow hellebore before. Pretty! My favourites are still the pinks and the plums. I just love them. Lucky you to have flowers already! I am really beginning to fall in love with hellebores. Pink frost is fabulous! But, as I scrolled down the page, I realized I thought that about every one of them! 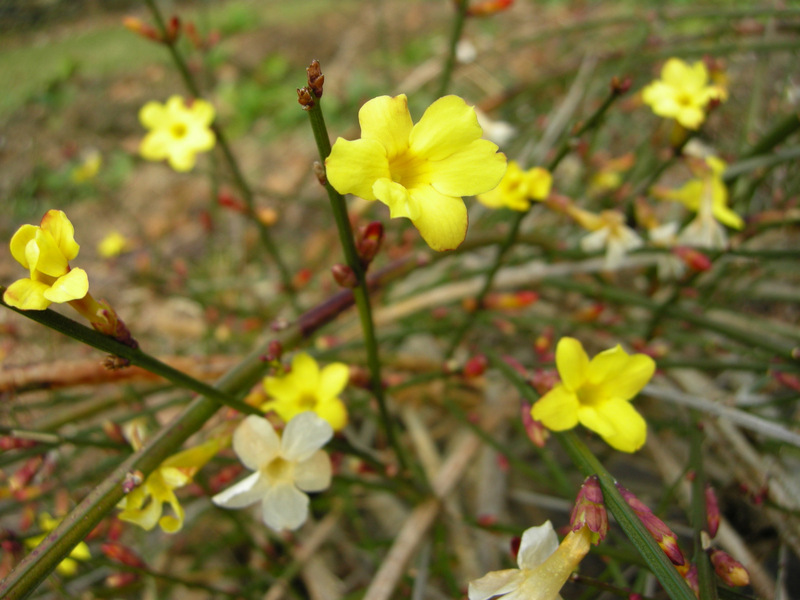 Winter jasmine is something I’ve never had in my garden. I wonder if I could find a spot for it somewhere. You are much further ahead than us this year, London is zone 9a and my crocuses are not flowering yet, we have had so cold weather for such a long time, the plants have just slowed down. Can’t wait for a proper spring! Helene, I just did a little research and it seems that British and American hardiness zones are equivalent which I never realized. However, the zone is not the most important factor in how far along my plants are. 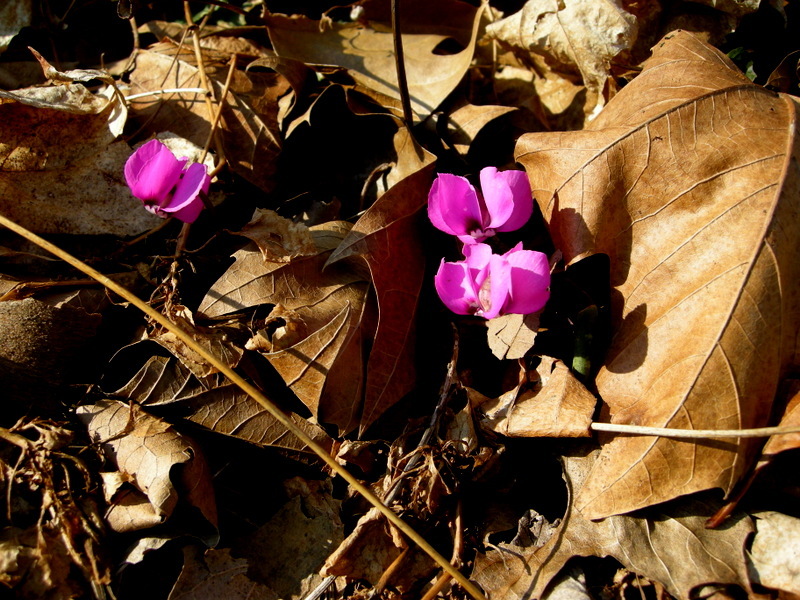 It is the rate at which the soil heats up in the spring. I am on the side of a south-facing hill and down in a hollow that’s protected from winter winds. My plants are usually way ahead of other gardens even in the same area. We have had a fairly mild winter as well, which has me somewhat concerned. I just don’t want spring to fire everything all at once. Your hellebores are beautiful, I have a lot too, but they are all seedlings and are not nearly as showy as yours. 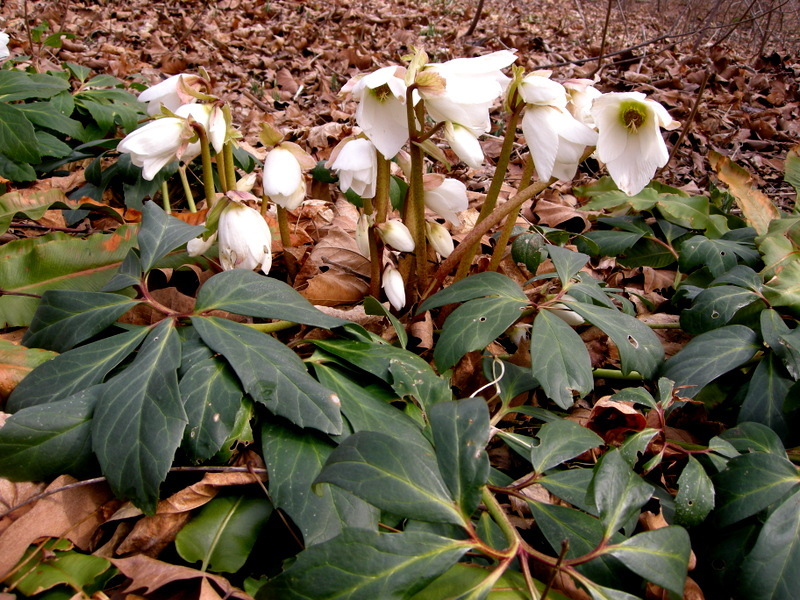 I dreamed I had a garden full of hellebores last night and I was so thrilled. 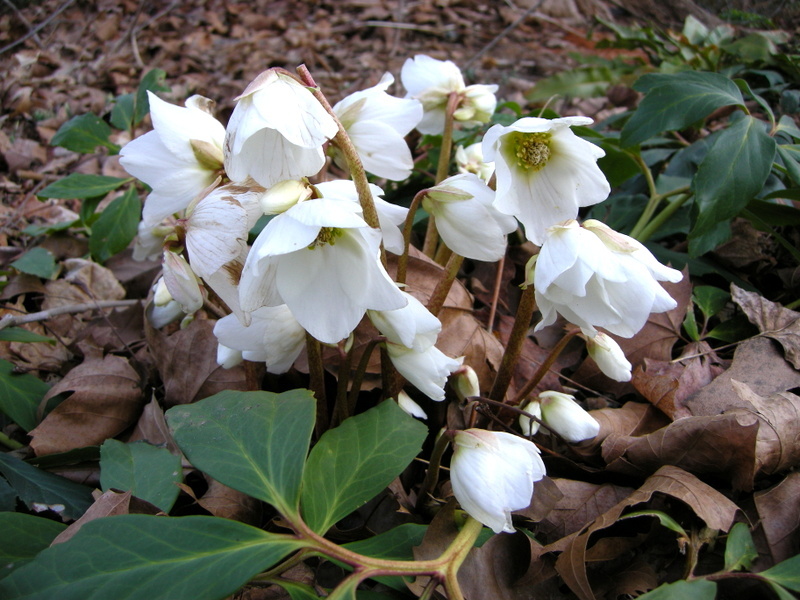 But I awoke this am to snow deep on the ground, no hellebores to come, and the snowdrops are not even blooming indoors. The paperwhites and cyclamen are beautiful, though. 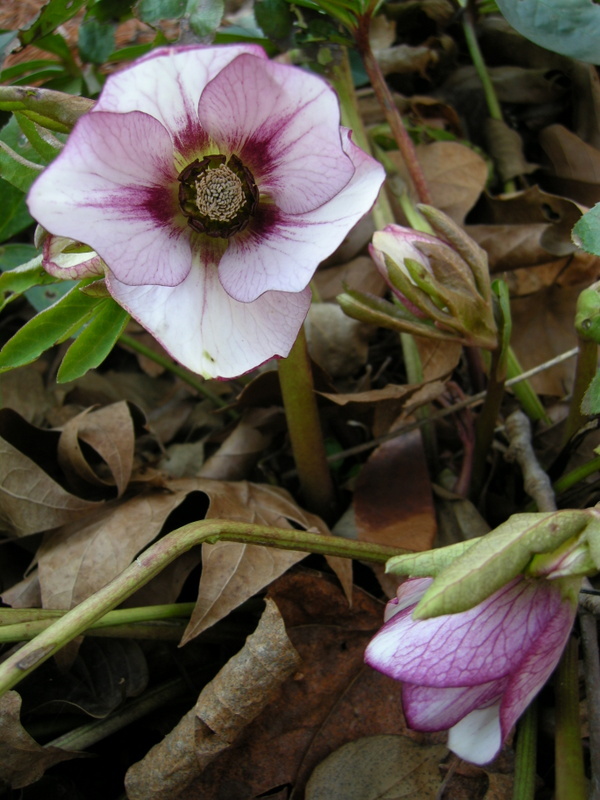 It seems there are more and more cultivars of hellebores every year. You grow some beautiful ones. How nice to have some spring colour now – it is pretty dreary up here today. I am jealous! 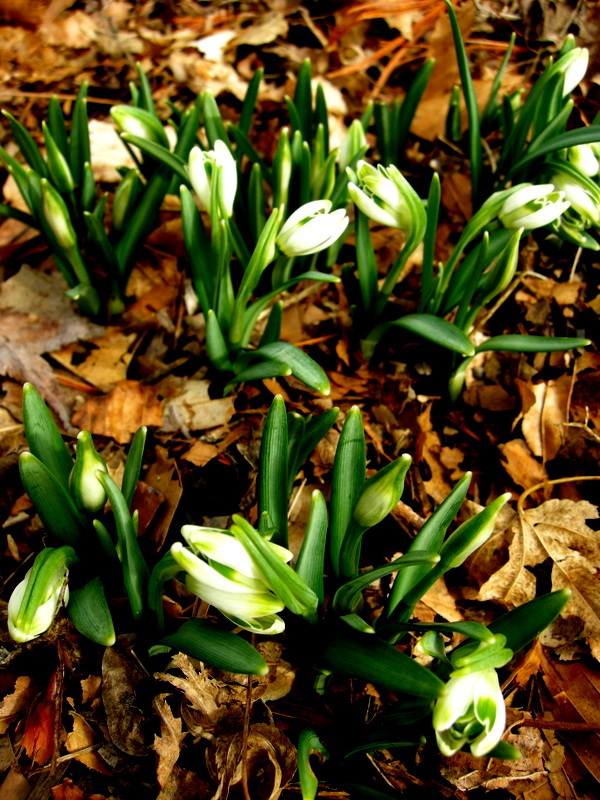 Here in Doylestown, which is only 30 miles north of your garden, our snow drops are only beginning to poke out of our recently placed compost and our Hellobores have just barely set buds. How lucky you already have such great blooms! 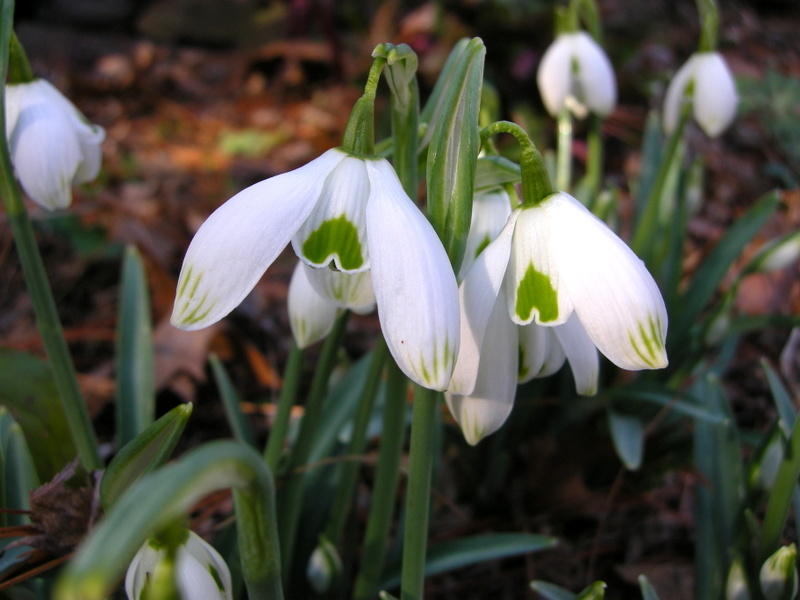 Hi Carolyn, when it’s winter i already thought of your snowdrops coming out in spring, i associate them with you. I didn’t know those yellow ones are called aconites, when i saw them once in person in their natural habitat with the crocus and snowdrops in the mountains of Turkey, i thought they are crocus too. I love to have a nursery too and do what you are doing. I am envious. Yes Carolyn, i am so lucky seeing them in the wild, imagine that is the first and maybe only time i can see them. But having a nursery is my hope, maybe when i retire i can do that, for i need not work in the big city anymore but stay at home and tend the plants, just like you. Happy gardening. 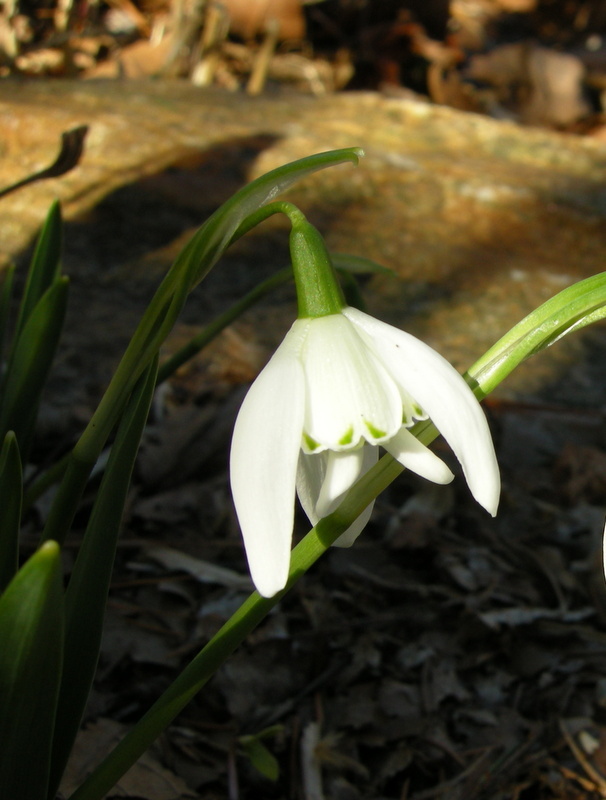 It’s a weighty 96 page document on snowdrop propagation and growth, which in between the science,makes me think that a new era in widespread Snowdrop cultivation and availability may beckon, and more people will come to appreciate the charms of all the variations in this beguiling plant group. It also got me thinking even more about what/why/where are the best conditions for growing them to thrive. We’re both obviously lucky enough to be able to get them going well, but I know some folk struggle. Hi Carolyn, you have so much going on at this time of year when many of us just have a Polyanthus and a Snowdrop or two. I was just removing the old leaves from the Hellebores this morning, they were some state, nice new healthy buds well formed though. 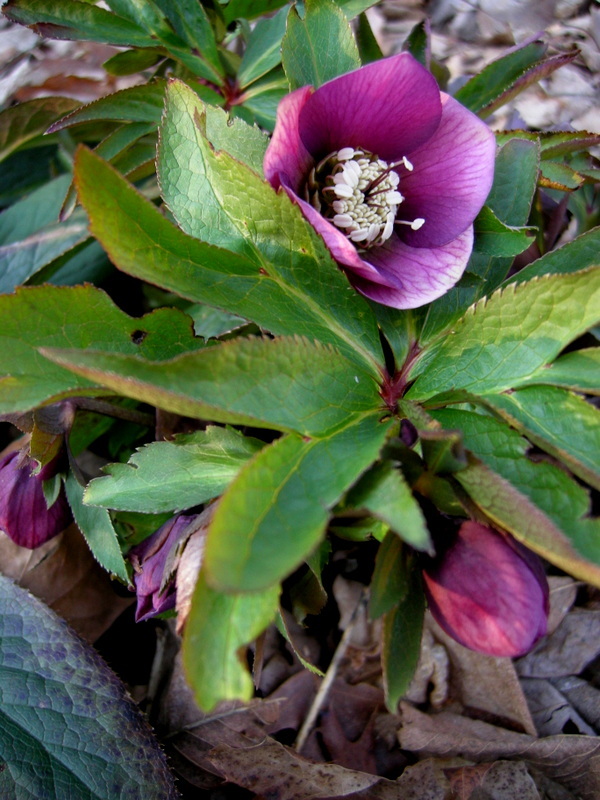 I do like the Christmas rose ‘Praecox’ which you feature. I must try it again and look for more mature specimen this time, Hellebores just seem to disappear in our garden if we plant young ones. I still haven’t solved the problem with visitors blog links not showing when they comment, I think the box for this url is not showing since I changed my theme. It has been a two way problem Carolyn, still not fully resolved, but yes I do see my link now. Its normally just been my gravatar showing. I absolutely adore seeing pictures of the hellebores and snowdrops and that yellow hellebore is beckoning me…I wish we had anything growing…seems the only thing is more snow…. Carolyn, Even though Bryn Mawr and Gettysburg are in the same USDA zone, your garden seems to be considerably ahead of mine. I haven’t seen any snowdrops blooming yet in Gettysburg, and neither my crocus nor those in the gardens along my route to work have appeared yet. (I’m guessing the difference is that you get the moderating effects of the coastal waters and we don’t.) 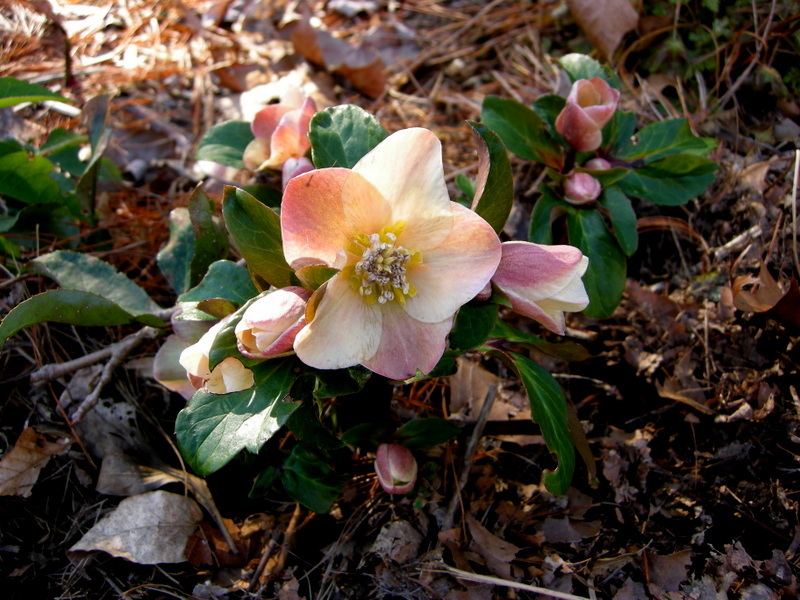 I don’t have hellebores planted in my Gettysburg garden, but I did add some in Maine last year; so I’m looking forward to seeing them there later. I doubt they’ll be visible when I’m there in March, but maybe by my late April garden spring clean-up visit. I just love the photos of all the different hellebores. I still haven’t found a sufficiently shady area for shade plants on my property but one of these days when I do I’ll be going crazy with hellebores. The yellow particularly make me drool. 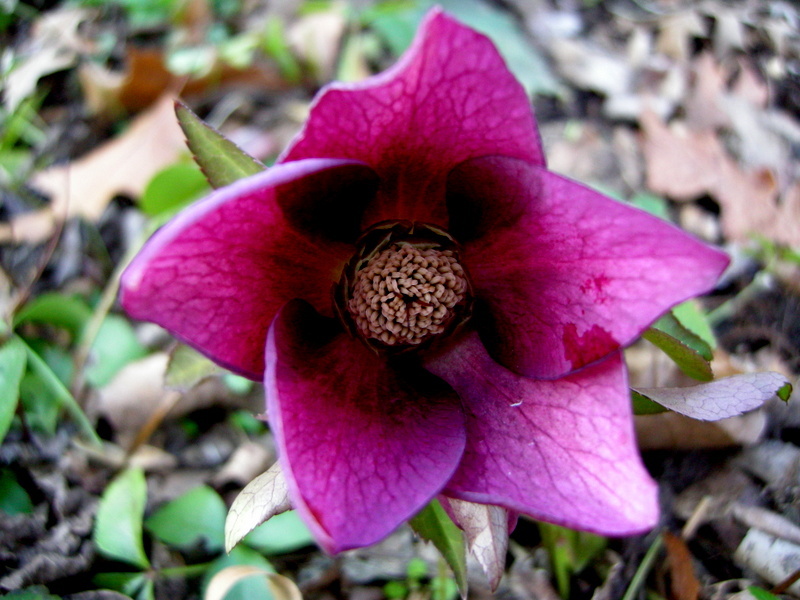 I loved to see your beautiful Hellebores, such a beauties and all are named too. I understand you have a nursery so names are extra ordinary important. 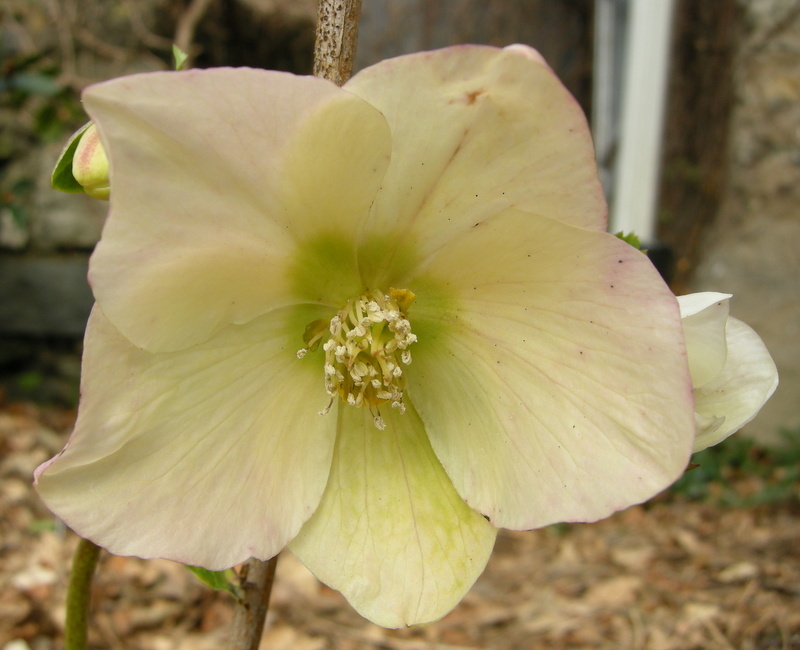 I bought I think about 8 namen Hellebores, I have many in my garden but all from seedlings. Often you get lovely ones. I am here on your blog for the first time, so I have to read more. I see that everything in Pennsylvania is somewhat earlier than here on the other side of the ocean, The Netherlands. 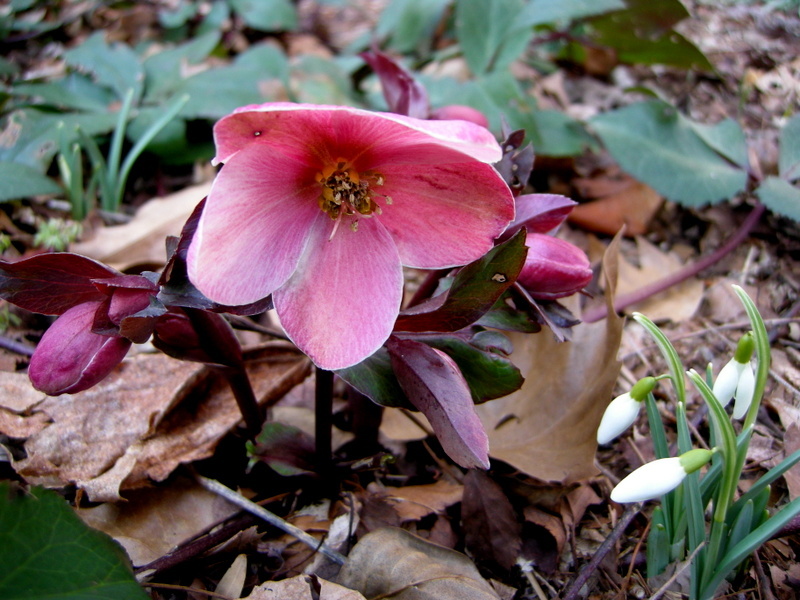 So many of my favorites from winter jasmine and winter aconite to ‘Pink Frost’ and ‘Cinnamon Snow’ hellebores! I seem to be having aphid issues on my hellebores this year, perhaps because we haven’t had a prolonged really cold spell. I have to say that your Blog is one of the best I have seen featuring their spring blooms! I really like the hellebore/snowdrop combination, so much so that I have been inspired to move some of my snowflakes (not as special as snowdrops but with a similar look) to my hellebore bed. As always, I have complete admiration for your own hellebores. I would love to have some of the yellow ones; so far I have not found a local source. I am enjoying my Hellebores, never planted them before moving here…no shade in VA. 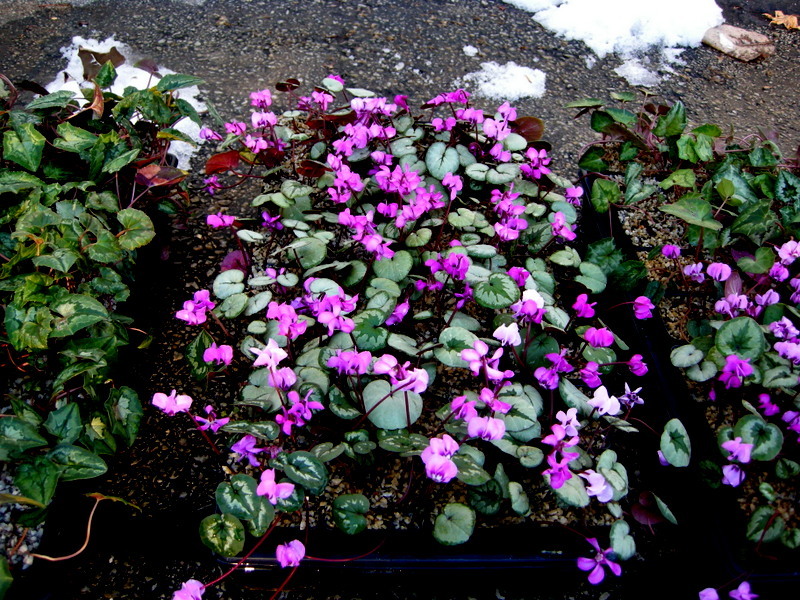 I am still coveting the cyclamen coum…..time to order some! You’ve got some lovely winter bloomers! So very pretty this time of the year.